For the fastest possible response, please completely and accurately fill out all of the required fields in the form provided above. Frank is the founder of and principal at MC2 Financial Advisers, Inc. He has a B.S. in Accounting from LaSalle University, is a licensed CPA, and is the president of McCullough & Company PC CPAs, which provides tax and accounting service to businesses and individuals in the Delaware Valley. Frank is a Certified Financial Planner®, a designation given to those who pass the CFP Board of Standards 2-day comprehensive final exam on investments, taxes, insurance, retirement, estate, and financial planning. In 1998, Frank expanded his practice to include investment advice and financial planning with the start of MC2 Financial Advisers, Inc. He saw an opportunity to provide the right service and personal attention to clients in an industry driven by the sale of investment products. 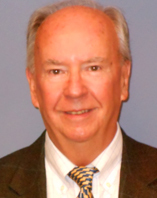 Frank believes an advisor should put the interests of the client first and foremost. Fees should be earned for service, not transactions. Rob is a principal at MC2 Financial Advisers, Inc. He joined the firm in 2003. Rob has a B.A. in Sociology with a Minor in Business from Villanova University. 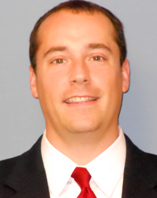 Rob is a licensed CPA, CFP®, and also a full time associate at McCullough & Company. Rob believes that investors would have more success by employing no-load index mutual funds to a disciplined strategy, instead of allowing their emotions to make decisions. On average, index funds beat managed funds, and they typically have lower costs too. We do not earn commissions on the sale of investment products, and there is no minimum balance requirement. Newtown Square Business / Professional Assoc. © MC2 Financial Advisors, Inc.